In order to use the energy more efficiently, network algorithms and protocols must incorporate in their decision mechanisms some functions focused on saving energy. 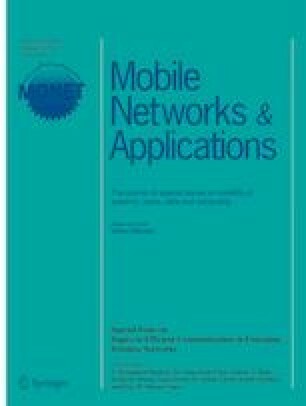 In this paper we have studied different features and parameters of wireless networks to establish their relationship with the power consumption. First, we have analyzed the variation of power consumption of access points (APs) in function of the antenna transmission power. Second, we have collected user information from real public wireless network to determine the real requirements of network resources in real time basis. Based on this information, a new extension for Openflow protocol over Software-Defined Networking (SDN) networks will be proposed to manage the wireless network, with the aim to keep the optimal network performance with minimal power consumption. This extension introduces new Openflow messages and a new function to be incorporated in SDN controllers and Openflow enabled devices. The proposal will be validated by appropriated simulations based on real scenarios: a shopping center and a municipal wireless network. This work has been supported by the “Ministerio de Economía y Competitividad”, through the “Convocatoria 2014. Proyectos I + D - Programa Estatal de Investigación Científica y Técnica de Excelencia” in the “Subprograma Estatal de Generación de Conocimiento”, Project TIN2014-57991-C3-1-P and the “Programa para la Formación de Personal Investigador – (FPI-2015-S2-884)” by the “UniversitatPolitècnica de València”.